India is a country, very rich in Rivers and Lakes. Most of them are, unfortunately, getting extremely contaminated. Urbanisation and Real Estate Ventures are eating into River Banks, River Basins, and Lake Basins and Catchment Areas. Many Indian Lakes are Sanctuaries for Birds migrating from Siberia and Russia during Winters. 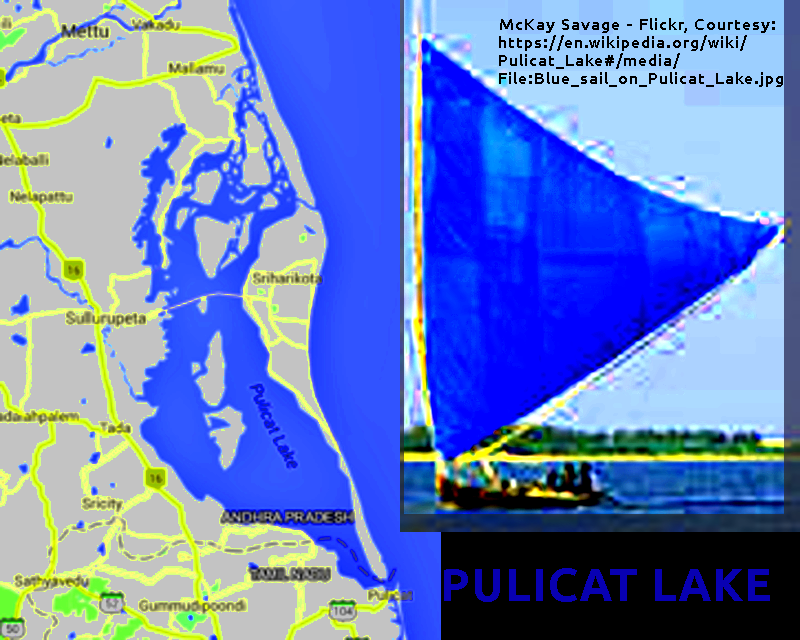 Pulicat Lake is second Largest Brackish Water Lagoon in India, after Chilka Lake. I undertake English, Hindi, Telugu language Translations. My labor charges: Ind. Rs. 110 per input page. E-mail input files to ybhask at g m a i l dot com. No need to phone. Here is a 10 Multiple Choice Question Test in yr favorite subject. Some actual examination questions have been abridged/modified for brevity. These questions can be answered online, and score can be checked by clicking `getscore` button at the top of the questions or at the bottom of the questions. There are minus marks of 0.25 mark for each wrong answer. If any questions are left out, there will be no change in score. Answers for each question can also be checked by moving your mouse on the word `mouse` at the end of each question. You can try and retry any number of times. 1) UPSC 2017 Exam: Pick correct Statement: UN-Habitat 1)promotes socially and environmentally sustainable towns and cities. 2)Partners only with Govts., and Urban Bodies. 3)Works on Poverty alleviation, Drinking Water, Sanitation. a`1,2,3 true b`1,3 true c`2,3 true d`1 true --mouse here to see answers. a`Blood Oxygen levels. b`Forest Eco System Oxygen levels. c`Pollution assay in aquatic ecosystems d`high altitude region Oxygen levels. --mouse here to see answers. 3) UPSC 2017 Exam: Pick correct Statement: 1)Himalayas cover 5 states. 2) Western Ghats cover 5 States. 3) Pulicat Lake covers 2 states. a`1 true b`2 true c`3 true d`1&2 true --mouse here to see answers. a`Resident b`Resident of the Contesting Constituency c`whose name appears in the Electoral Rolls of Contesting Constituency. d`whose name appears in any Constituency of India --mouse here to see answers. a`ASEAN b`World Bank c`Collaboration of International Bks. d`UNCTAD --mouse here to see answers. 6) 13C INDIAN HISTORY: MARCO POLO visited India during ___Rule. a`Kakatiya b`Vijayanagar c`Tanjavur Nayaka kings d`Chera --mouse here to see answers. a`1 true b`2 true c`3 true d`all true --mouse here to see answers. 8) UPSC 2017 EXAM: On Road between Kottayam and Kohima, inclusive of Origin and Destination, how many States exist? a`6 b`7 c`8 d`9 --mouse here to see answers. a`correlative with duties. b`personal & independent of society. c`more important than duties d`less important than duties --mouse here to see answers. a`Preamble b`fundamental rights c`directive principles d`fundamental duties --mouse here to see answers.